Today's guest post comes from Michael Flint of Metropolis Creative, which is currently hosting Extreme Website Makeover. 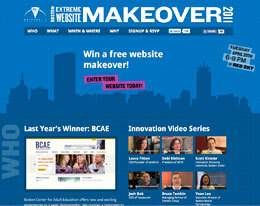 The last day to enter to win a website makeover is today. What do YOU look at when you're surfing the web? We're all busy. Too busy. So our web surfing time is very self-centered. We're looking for the most interesting content in the quickest and most digestible format. AKA: video. Want proof? Go to any major news site. They feature videos so often, you may actually have a hard time finding articles to read. Videos are quick to watch, easy to understand, and easy to share! Credibility. Having smart content on our website helps elevate our brand. Sure, we can talk about innovation and branding until we're blue in the face. But once there are others saying similar but complementary things, we gain credibility. Video interviews are much more compelling than a text snippet or quote. Sticky content. We're not so naive to think that our target audience will be as enraptured with our event concept and website as we are. Additional content such as weekly videos will continuously drive new and repeat visitors to the website. Shareable social content. Social media users are constantly looking for good content to share. When we upload a new video, we announce it via our social channels and drive traffic to the website. We've also made it easy for users to tweet or like these videos once on the site. We're seeing video being used increasingly as bandwidth and platform compatibility mature. Brightcove has taken a leading role in making it easier for agencies like us to incorporate video into compelling web design strategies. Their technology helps publishers make sure the viewing experience is branded and consistent for viewers across every device. And let's face it - video is cool. We spent a little extra effort by using professional-grade equipment, and spent some time editing too. But you don't really need to do that. The public is so used to amateur video, that the overall quality generally won't degrade your message or brand. Check out how we used Brightcove's video platform on our Extreme Website Makeover event, and then come to our party on April 26th to see how we make over one lucky company's website! 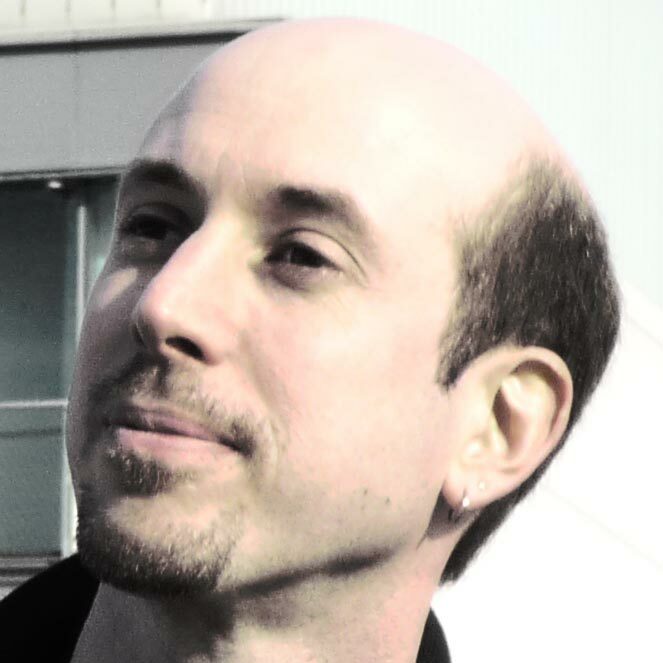 Michael founded Metropolis Creative in 1999. Metropolis Creative in Boston's South End creates compelling web, print and graphic design to attract and retain target audiences. The approach begins with a discovery of your brand, message and audience. The process continues with a proposal and creative delivery solutions. In addition to being very active with MITX, Michael actively serves on the board of directors of SEMPO Boston, Newton Girls Softball, and is the President of the Angier After School Program in Newton, MA.